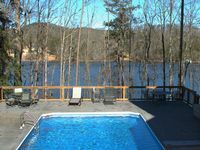 Property 1: Secluded guest suite-just minutes to dntn Alpharetta/400/Windward. Property 2: Pier 39 on Lake Lanier. #1 Rated rental in Gainesville! Property 3: COMFORT like home; NO WORRIES like vacation. Property 14: All the conveniences, nestled in nature! Property 15: 3 bedroom apartment 22 mi from the Big Game! City Oasis with resort ambiance! Property 18: City Oasis with resort ambiance! Perfect place to stay near the Infinite Energy Center! Stephane was very accommodating and had everything laid out for us. The basement was perfect and nicely decorated. We all enjoyed staying here and would return again next year!